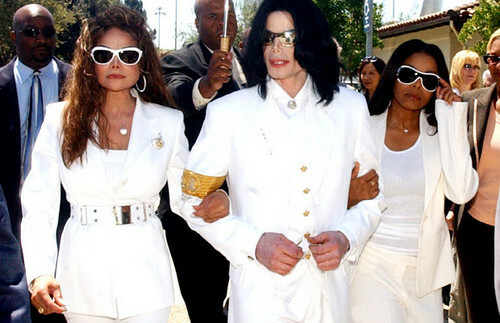 Michael With His Two Sisters Janet And LaToya. . Wallpaper and background images in the Michael Jackson Legacy club. This Michael Jackson Legacy photo contains サングラス, 色合い, ダークグラス, and シェード. There might also be 身なりの人, スーツ, パンツスーツ, よく服を着た人, and パンツ スーツ.